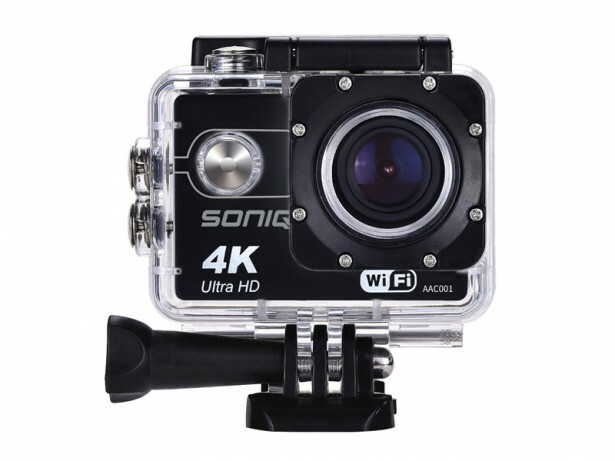 SONIQ DEFY AAC001 Action Camera 4K 30fps Waterproof, Sport, Outdoor, Adventure. The perfect partner for any adventure, be it hiking up mountains, spelunking into caves or even just a casual stroll on the beach. Capture the memories that matter and look back on the best times in your life. Despite the SONIQ Defy's slim design, there are dozens of features bounding from the seams such as its 2.0 LCD display screen, 16MP resolution camera with 4K @ 30 FPS capability. Built for all conditions the durable protecting casing means that the Defy is able to operate both in high altitudes and underwater. With all the inclusions Defy your expectations with the SONIQ Defy. Rain, hail or shine won't be able to stop you filming the best and most exciting moments of your life. Mountains, Oceans, Underground caverns are all ripe for adventure, all you need to do is answer it. With the capability to record at 3840x2160p(4K) @ 30fps, 1920x1080p @ 60fps and 1280x 720p@ 120 fps you'll get the options you need to optimize your capture. With dynamic modes like time-lapse, slow motion and time/auto functionality you control how you record. The recommended setting is 1920x1080p @ 60fps. The provided camera is at a 16 MP photo resolution. Boasting a lithium battery you can record your adventures out and about for even longer. Now all you have to do is find something worth recording and capture some even better memories with the SONIQ Defy. The 170° ultra-wide angle lens on the in-built 16 MP camera means that you can capture even more of those beautiful and expansive vistas when your travelling. 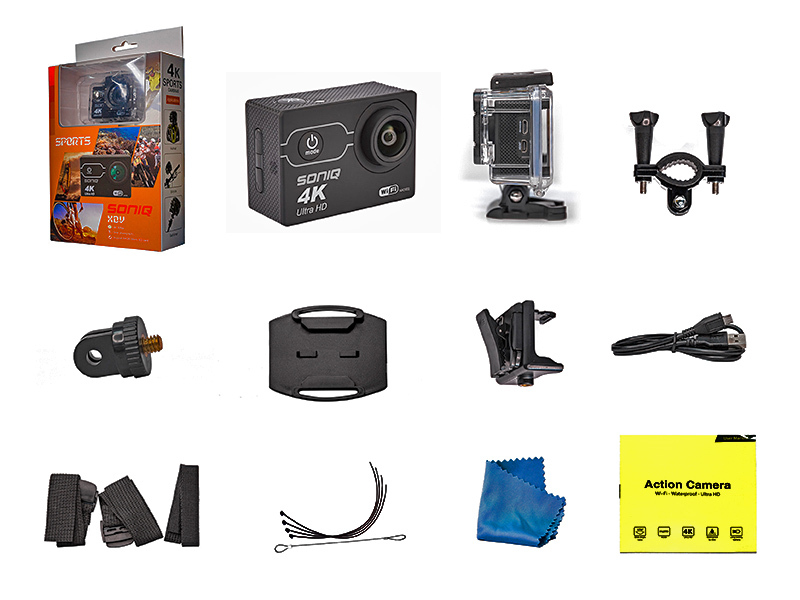 Packaged in with the Defy are a wide array of Accessories such as mounts, tethers, clips and straps so that you are able to be ready whenever the chance presents itself.